The embattled head of Puerto Rico’s power utility resigned on Friday, the latest controversy to hit the island as it struggles to bring its electric grid back online. Ricardo Ramos, the executive director of the Puerto Rico Electric Power Agency, submitted his resignation to Puerto Rico’s governor’s office only a few days after he testified before the Senate Energy and Natural Resource Committee over the controversial contract he approved with Whitefish Energy Holdings, a small Montana firm to rebuild Puerto Rico’s electric grid. 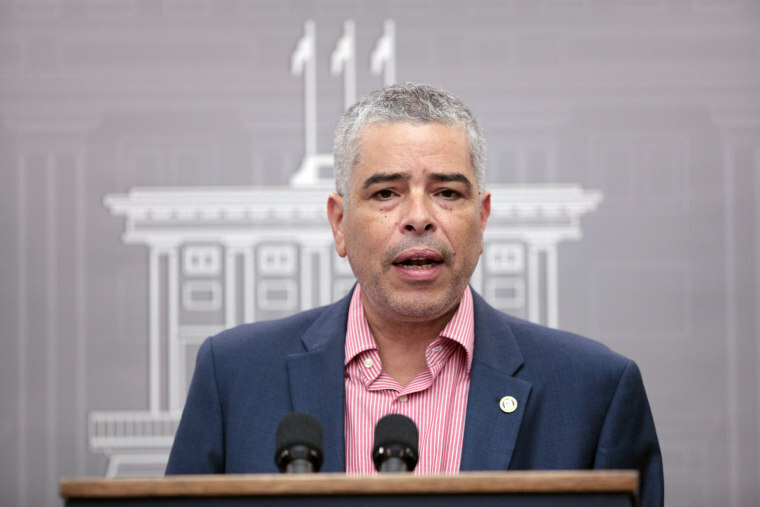 A few hours after Ramos resigned, Puerto Rico Governor Ricardo Rosselló recommended the appointment of engineer Justo González as interim director of the public utility. San Juan Mayor Carmen Cruz tweeted her approval of Ramos’s removal. Ramos defended his decision to approve the contentious contract with Whitefish Energy before the Senate on Tuesday. He said he had reviewed approximately “a half-dozen” proposals, but believed only two fulfilled the island’s needs. Of the two, Whitefish is the only company that guaranteed that PREPA would only pay for work that the Montana company completed. PREPA also hit a snag this week when a major transmission line failure forced its power generation to be cut in half. Rosselló had set the goal of restoring 50 percent of the island’s power at this point. But hours after PREPA reached its goal, the line failure reduced power generation to 22 percent. As of Friday, PREPA had increased that number to 43 percent.